Hopefully by now you have been using MicroStation V8 and have realized how nice Cell Library management has become. Here is one more tip that should help you be more efficient. From the Cell Library dialog <Right click> a cell name. <Click> the Open for Editing option, your current design file will close and open the CEL file and model. This works similar to the Exchange tool for reference files. 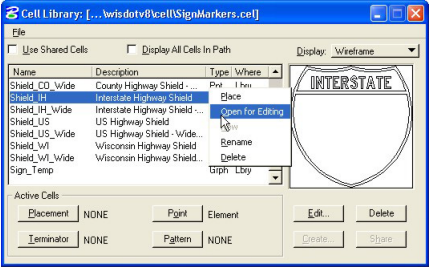 CAD Managers if you haven’t protected or made your standard cell libraries read only you better do it quick.